We talk a lot about WordPress on this podcast, and it’s because we both love the platform so much. 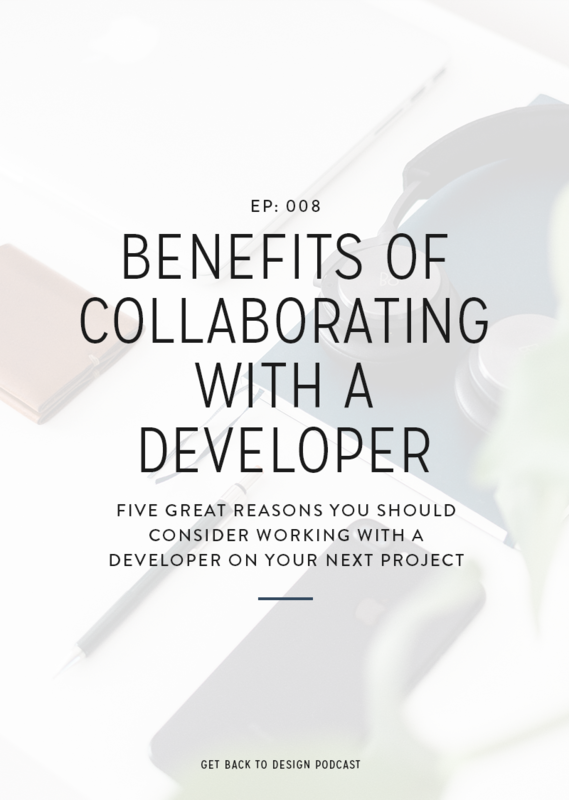 However, we know that a lot of our listeners also work with Squarespace, so we knew it was time to get someone on to chat with us more about that platform. We couldn’t think of anyone better than Meg Summerfield. 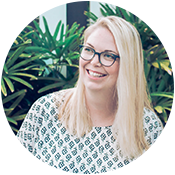 Although Meg was originally a print designer, she quickly fell in love with Squarespace and has established her studio around helping businesses get truly beautiful websites on the platform. 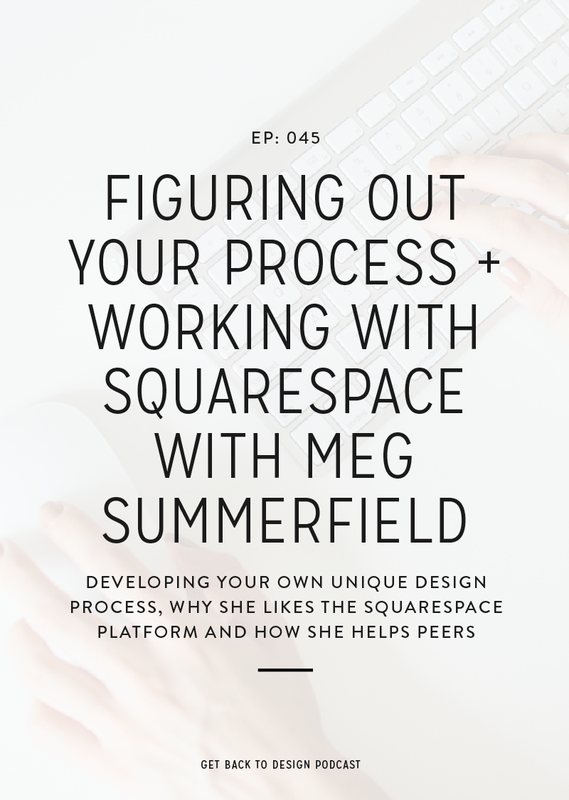 Aside from design, Meg is also incredibly passionate about helping other designers, even her competition, which is why she created the Square Design Guild, a membership site for other designers who use the Squarespace platform. In addition to chatting a little more about Squarespace, we’re also asking her all about her process and how she suggests designers establish their own. Meg started out with one process with her very first client and that’s actually what her process looks like today. She started by giving the client a mockup and then got to work figuring out how to make the Squarespace site look like her mockup. While she didn’t feel she was ready to get that in depth, she knew the process was good. But with her second client, she caught herself starting in Squarespace without a mockup to start with. Although none of the sites turned out bad (we can believe that! ), she admits that doing it this way created a lot of extra work in terms of work arounds and edits. After a few projects doing things straight in Squarespace, she knew she had enough skills to go back to the original plan: create a mockup and then manipulate the site to look like it. Her process now starts with a detailed site map. Then she starts working on the mockups, and then she sends a PDF and a video over to her clients to present the work she’s created for her clients. Once the work has been approved, she then gets to work in Squarespace. 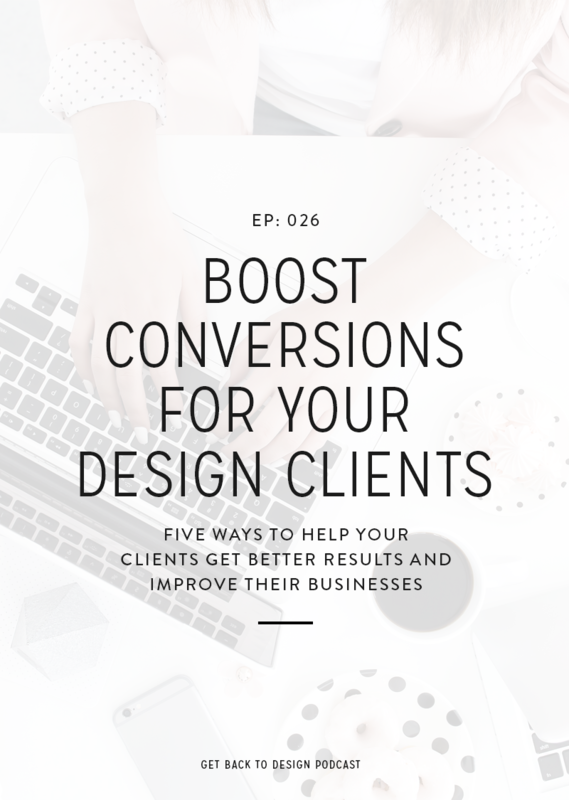 When it came to figuring out what worked best for her and her clients, she wanted to make sure that her clients were getting a full understanding of what they were getting. When she realized that wireframing wasn’t communicating the design well to her clients, she eventually kicked that part of her process, even though it took her a while to feel confident doing things her own way. For her first client, Meg admits that she made up a lot of her process, but she also studied what worked well for the industry and and how she could translate it to such a different type of platform. She also pulled a lot of her process from things that she learned in grad school. 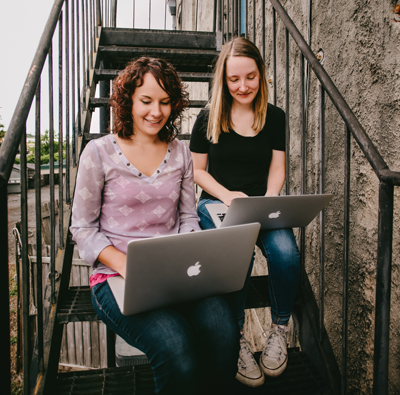 The key reason Meg likes the Squarespace platform so much isn’t necessarily for herself, it’s for her clients: she wants to make it as easy as possible for them to take their site and make edits as they need to. While you can obviously teach people how to edit their WordPress site, it’s a lot less intense to share with them how to go in and fix or change things on the Squarespace platform. 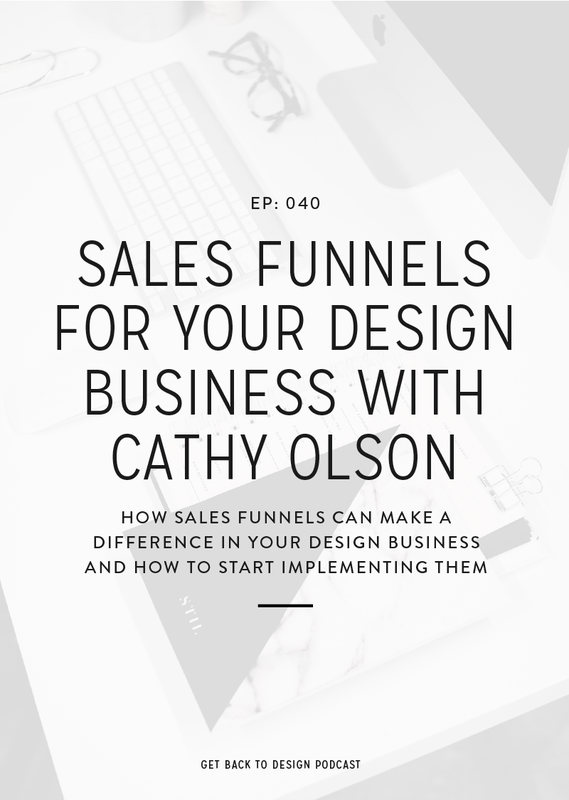 This is important to Meg because she wants to set her clients up for success. Instead of essentially forcing them to spend more money to hire a tech person or always come back and pay her if they need something changed, she wants even the smallest businesses she works with to be able to make changes without breaking the bank financially. 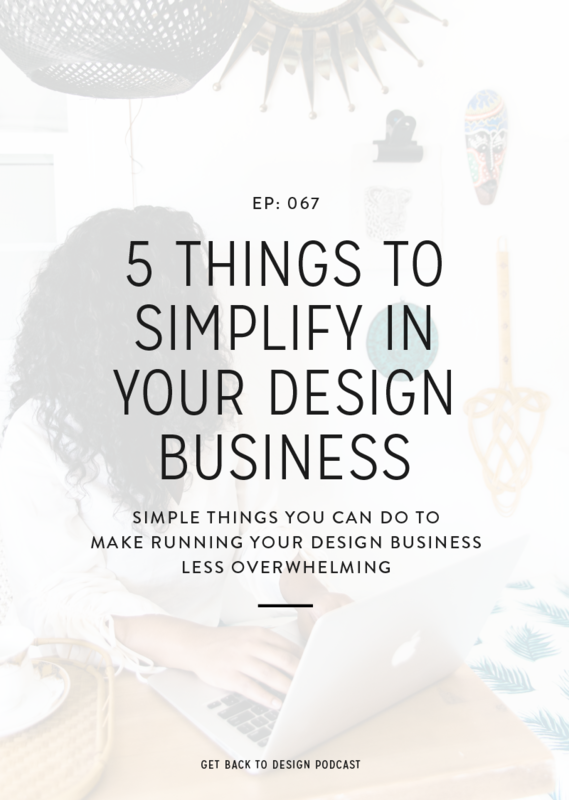 After being up late, writing code, trying to fix a problem and emailing other Squarespace designers, she felt like it was silly to be so secretive and hiding things that had nothing to do with running a design business or getting clients. It’s not about being a better designer, it’s finding workarounds for things that happen in Squarespace. She didn’t find any sort of community like this, so she decided to start her own so she could not only help a small group of people and showcase what she can do with Squarespace, but also help lift other people up and elevate the work Squarespace designers are creating as a whole. She gets this question a lot (even from her mom), and every time she answers that she believes there are enough clients out there for all of us. She also really enjoys sharing her skill and being a mentor. She said that she’d be a mentor and help contribute to our online design community regardless of whether Squarespace ever goes away. At a young age, Meg was always designing brands – from neighborhood lemonade stands to fashion design brands. Today, armed with her MFA in graphic design from SCAD and loads of Squarespace knowledge, she runs her own studio Meg Summerfield Creative, as well as her food blog Summerfield Delight. She is also the founder and editor-in-chief of Square Design Guild, a membership group for designers who use the Squarespace platform.